Geraldo Rivera is known for his outspoken ways, but he might have stepped over the line on Friday when he said 17-year-old shooting victim Trayvon Martin’s hooded sweatshirt was to blame for his death. 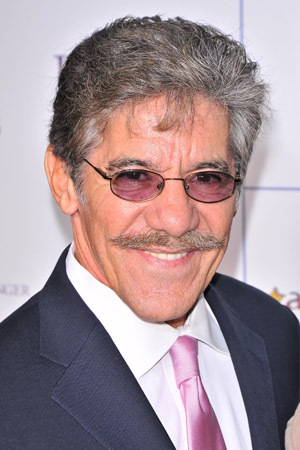 Geraldo Rivera has made a career out of saying controversial things in the name of journalism. However, the Fox host outdid himself on Friday when he commented on Trayvon Martin and the campaign to arrest the man who shot him, George Zimmerman. Basically, Rivera said that Martin would still be alive if he wasn’t wearing a hooded sweatshirt while walking back from the 7-11 near his home in Sanford, Florida on Feb. 26. “[I] am urging the parents of black and Latino youngsters particularly to not let their children go out wearing hoodies. I think the hoodie is as much responsible for Trayvon Martin’s death as George Zimmerman was,” he said Friday on Fox & Friends. Twitter users — including celebrities — quickly jumped on Rivera’s remarks. “sorry @GeraldoRivera, what i gotta stroll around rocking a tux 24 7 so I [sic] can put others who are ignorant at ease? what about the OTHER side of that coin?” The Roots drummer Questlove tweeted. Comedian Patton Oswalt added to the dissent with his signature biting sarcasm. “Hoodie? Oh Geraldo, the way you’re battling the irrelevance that long ago vanquished you is ADORABLE,” he tweeted. President Barack Obama also got into the Trayvon debate on Friday, demanding a full investigation by local, state and federal authorities. Rivera isn’t backing down on his viewpoint, though he tweeted that his son was among those who disagreed with him. “My own son just wrote to say he’s ashamed of my position re hoodies-still I feel parents must do whatever they can to keep their kids safe,” he added. Where do you stand? Was Geraldo Rivera correct in his comments about hoodies?